Streetfood, grills and curries just like you'd get in India. We've recently taken a party here for my mother's 60th birthday. The food was amazing as always. We arranged for everyone to have the set menu. They served a variety of dishes, which was perfect as some of the guests had never eaten Indian cuisine before, and wanted to have a little taste of everything. Atmosphere was amazing. Large glass windows looking out over the marina. You have to try the Gobi Manchurian (battered cauliflower in a sweet chilli sauce). It's incredible! Wonderful food, wonderful service and a great night! Visited here for the first time on a bank holiday weekend and loved every minute of it. The food was amazing, the location and surrounds are perfect and the staff are all so friendly. I would definitely be recommending and returning here! Great food. Good service. Would definitely be going back. Fabulous food in a great setting on a perfect Spring evening. Can’t wait to come back! Amazing food and great value for money. Service was a little slow / forgetful of drinks etc. Absolutely fabulous delicious food. Can't fault it! Great meal,  as always. Fantastic food and service. Fabulous food , helpful waiter and waitress . Nothing too much trouble . 5 Stars for everything as usual. Fantastic food. Lovely setting, great service. Excellent all round thanks. Always very friendly a quick service. The food is fresh, hot & most importantly DELICIOUS! 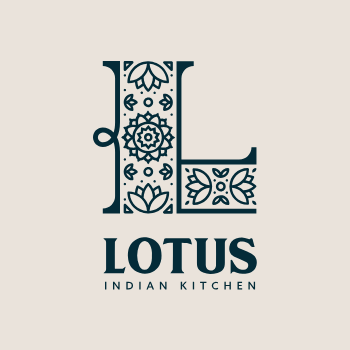 LOVE LOTUS & will return with more friends to introduce the Lotus experience. Food excellent as always. Disappointed not to be offered desert or coffee. Mentioned same to MD who didn’t seem to interested. Otherwise a lovely evening. Food was very good and fresh. We did not have to wait too long for both courses. Service was also good for both drinks and food. This was the 4th time I have been in the last 2 months and the food has always been very good. I just find drinks 2 expensive. 4.50 for a beer... if you lowered it a bit people may drink more.. cocktails 7pounds, I tasted it and it was poor jo taste of alcohol - felt like a mix of juices. Ordered a raita. Tinest amount provided - it's only yoghurt provide some more. With poppadoms the pickle dishes again hardly any given. Great food as always! Amazing flavours and plenty of choice (too much-I want to order everything). Perfect portion sizes making dishes perfect to share! Can’t wait to come back again! Food was fabulous just disappointed the waiter didn’t pour the Prosecco once opening, he stuck it back in the bucket !! This was my first visit to Lotus Kitchen. Every element was great - all the dishes we tried were beautiful, and they were happy to make minor changes to the curries. The servers were friendly, helpful and attentive. I'm looking forward to coming back! We always really enjoy the food at Lotus. There's a very different choice compared to your usual Indian restaurant, and it's great to be able to order lots of different small dishes. I took my Mum for Mothers day and the food was fantastic. We had huge help from our waitress as we were unsure how big the portions were. That was the only downside maybe on the menu it should say how many each thing serves if it is designed for sharing. Other than that a fantastic meal and we will all be back.